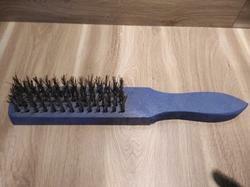 Leading Manufacturer of scratch brushes and ss wire scratch brush from Ahmedabad. Specially Designed Bent handle Scratch brushes. Availabel in 3 row and 5 Row.